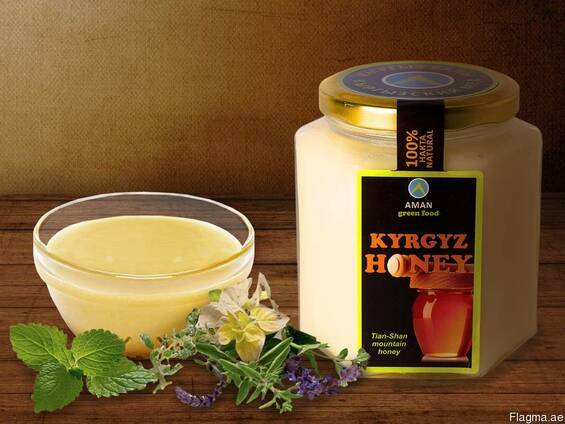 Natural white honey "Kyrgyz Honey" - It is yellowish-white, tastes sweet and a little bit luscious, is not get crystallized for a long time, crystals are small. The nectar of this type of honey (sainfoin) is collected by bees in the high meadows of the foothills and mountains of the Tien Shan mountain range at an altitude of 2200-2500 meters above sea level. It has antibacterial, antimicrobial, anti-inflammatory and analgesic effects. It is notable for high nutritional level. It is used in treatment of liver, intestinal tract, and has general health-improving effect on human body. 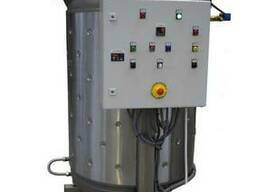 It is also applicable for treatment of different skin diseases owing to expressed microbicides properties. 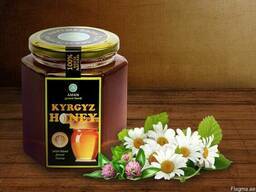 Natural pure mountain honey "Kyrgyz Honey"